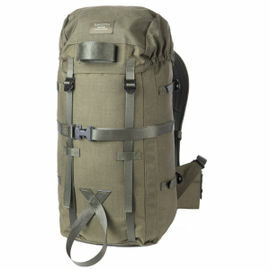 The Savotta Border Patrol 60 litre Backpack is a traditionally designed rucksack and an excellent choice for shorter camping trips, hikes and treks and was originally designed for the Finnish Border Guard. 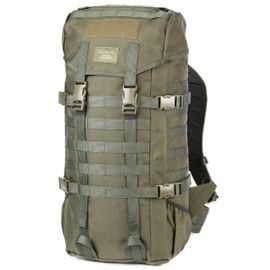 Unlike larger external framed backpacks, the Border Patrol backpack has an internal pipe frame which reinforces the back of the bag. This rigid and lightweight internal structure allows the backpack to stay upright and comfortable to carry even when filled with heavy loads. The support frame can also be removed from the backpack, if desired. 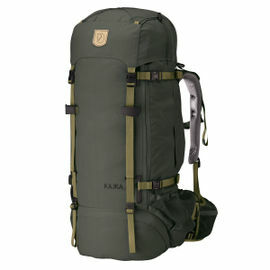 As a special feature, the Border Patrol backpack has attachment points for a rifle. These are positioned on the outside and can also be used to attach a camera tripod or other long items. The top main compartment (dimensions approximately 45 x 35 x 22 cm) is closed by tightening the drawstring. The opening is then secured with a waterproof protective collar which enables over packing. This opening is covered with a large flap which is secured with straps. The generous length of these straps provides adequate space under the flap for over packing. There is also a tightening strap that encircles the whole backpack. There is a large, open pouch pocket inside the flap. When the flap is closed, the opening of the pocket faces upwards. When tightened and closed the contents will not fall out. Inside the backpack and positioned at the back there is a compartment for the support frame. 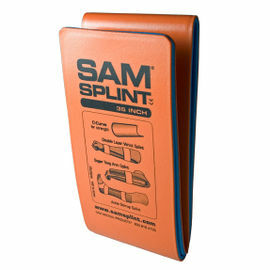 This compartment is also ideal for carrying, for example, a hydration bladder, SAM splint or other flat items. The side pocket on the right side of the pack is tunnelled-shaped and there is an attachment point above it for a detachable strap. This will conveniently hold an axe, for example. The wide, anatomically shaped, sturdy shoulder straps and the well-padded hip belt are designed for supported and comfortable carrying. The buckle of the hip belt can be undone very quickly with one hand. 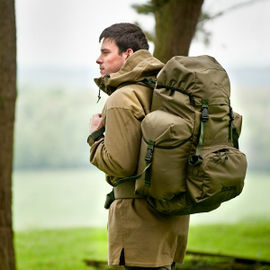 The carrying handle on the top of the backpack ensures easy carrying by hand as well. 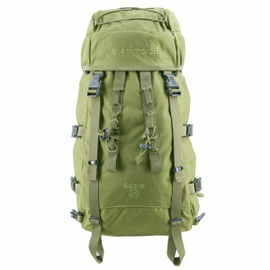 Savotta Border Patrol 60 litre Backpack - Olive Green is rated 5/5 based on 1 customer review. I've had this pack for a week or two now and managed to put in an overnighter and three 15+ mile hikes with it. I have to say I am impressed. This is the most comfortable pack I own. The hip belt is supportive and the buckle, though unusual is very effective. The back lacks the closed cell foam pads and channels of a modern design, so can be a bit sweaty but that also moves the load closer to your centre of gravity adding to the comfort and stability. Overall the construction is top notch and I have no doubts about its long term durability. The colour is darker than pictured (these are the same images as on Savottas website). It is an expensive pack but I consider it a good investment for a European manufactured product, you could pay as much for a big brand pack sourced from China.